Eleven minutes and 592 turkeys weighing a total 7,700 pounds. That was the recipe for thankfulness and holiday giving last month at Sukup Manufacturing Co. in Sheffield. But the act of kindness goes much deeper for the grain bin manufacturer – it is all about family. Thankful isn't the first word that comes to mind as farmers and agribusiness leaders reflect on 2018. The looming farm recession has impacted business for several years and, in April, the U.S. and China entered a trade war that has caused soybean prices to sink to $8.14 per bushel, a price that has not been seen since 2008. Low commodity prices are combined with the rising cost of steel, another casualty of the trade war. Sukup is a family-owned manufacturer of grain bins and dryers, material handling equipment and pre-engineered metal buildings. The company depends on steel for their products. They also depend on farmers and other agribusinesses to buy the finished products. "We bring in a million pounds of steel a week and the 30 percent increase hit us hard," Steve Sukup, chief financial officer for the company, says. "We are ready for the challenges ahead. We have a great dealer organization and great employees." 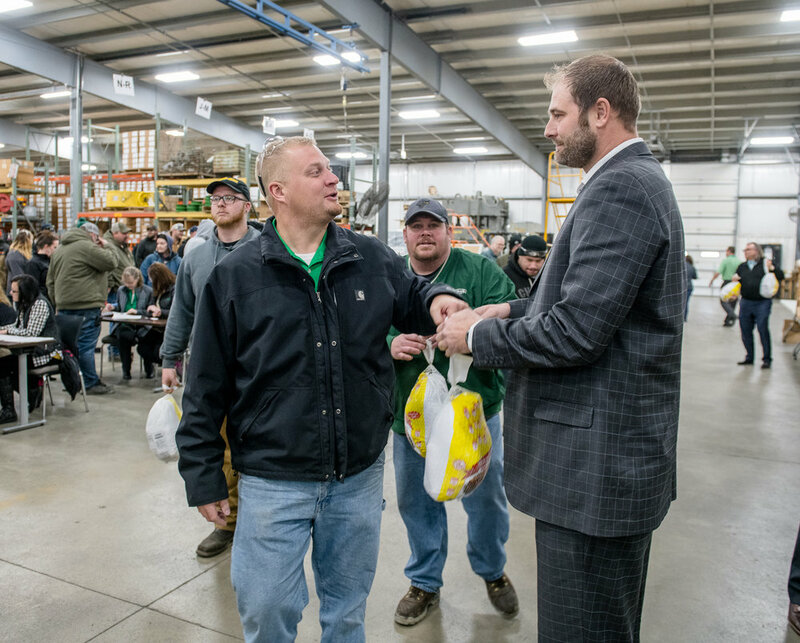 The ins and outs of the trade war and the heavy weight of the farm recession wasn't on the minds of Sukup employees as they gathered on the factory floor for the company’s annual tradition of gifting employees a Thanksgiving turkey. Amidst the parts for steel grain bins, centrifugal fans, stirring machines and SafeTHomes, Steve Sukup, son of founder Eugene Sukup, welcomed the employees as an extension of his family. "Thank you for a successful year," He said to the group. "We have much to be thankful for and I appreciate your hard work." The tradition of providing a meal for employees dates back about 50 years for the company. Tradition and family principles are a cornerstone of the company. In 1962 Eugene Sukup invented the Stirway stirring auger. The automated system helped decrease grain spoilage as it was stored over the winter months in steel bins. That invention combined with numbers of innovative ideas over the years has led to Sukup’s success. The company holds more than 80 U.S. patents and international sales to over 81 foreign countries. "The past 18 years I have been blessed to work for a family-owned company that acknowledges and treats each of its employees as they would any other family member," Randy Marks, an 18-year veteran of the company, says. "The thoughtfulness of providing each of us with a turkey so we can enjoy with our families on Thanksgiving day is greatly appreciated and uncommon in today's society." Over the years, Sukup’s focus has been to hire local, reliable employees and provide them with top quality facilities to do their jobs. Nearly 30 percent of their full-time employees have been with the company for more than 10 years according to the company’s website. "This event is another opportunity to show we are family," Matt Koch, an electrical engineer with Sukup says. 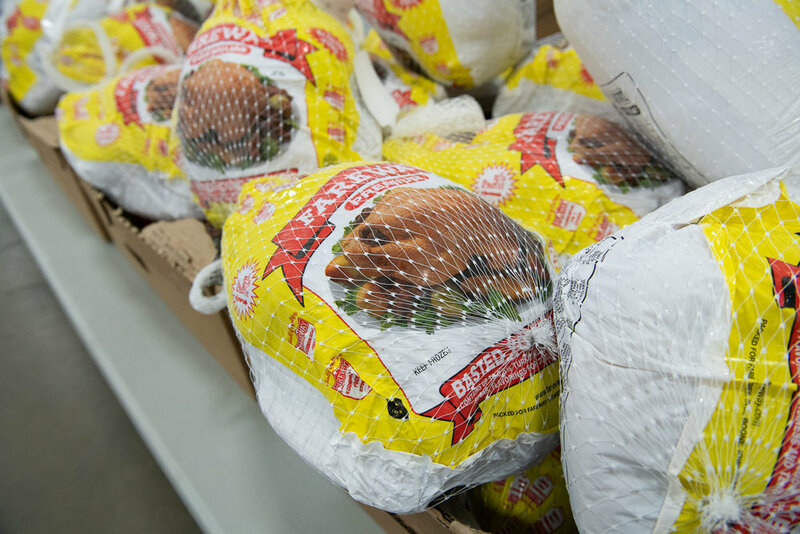 "Handing out turkey for Thanksgiving is a way for us to be a part of their families as well and it is very important to us."